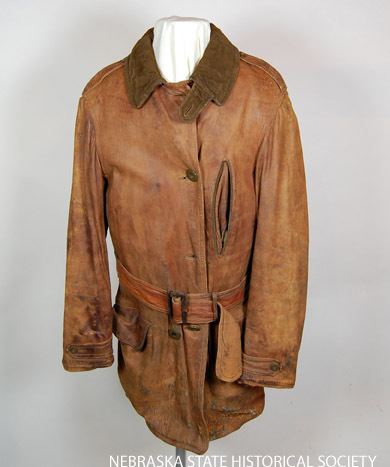 This jacket (above) was worn by J. James Duffy, who worked as a U.S. Airmail pilot in 1924. 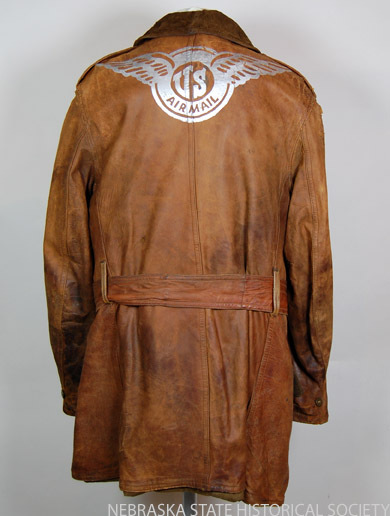 Duffy had the insignia on the back repainted, as the original wings had worn away. 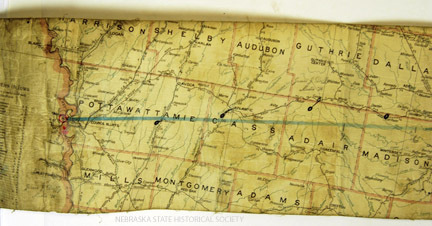 The map below shows Duffy’s route from Chicago to Omaha. The line of flight is in blue, and the circles near the line identify the emergency landing fields. The fields had full time caretakers, telephones, and signaling devices to warn pilots of hazardous conditions, and were located approximately every 25 miles. 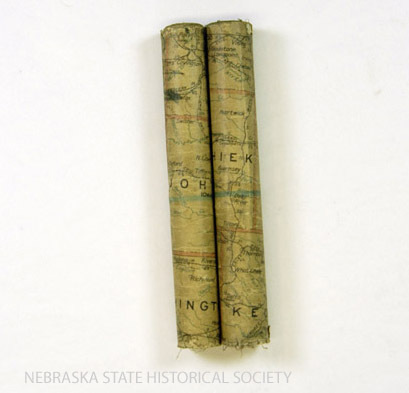 Duffy held the map in his left hand and rolled it as his flight progressed (below).